Falcom was founded in Germany in 1990. After merger into Maestro in 2014 it entered the international arena. The core range of products is designed for stationary units, vehicle and personal tracking. Company solutions are used in automatic vehicle allocation, antitheft and cargo safety enhancement systems. 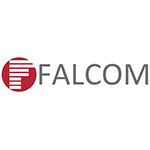 Falcom partners operate in Europe, the USA, Asia, Africa and Australia. The chart below shows the changes within the last 30 days in the number units of FALCOM GmbH devices type are connected to Wialon Data Center.